We are luxury home window repair and replacement experts in Paradise Valley, Arizona and have handled jobs large and small at an affordable price. Because we are a locally owned and operated window and glass company, our windows are custom made after proper measurements are made and the type of window is specified. For energy savings, dual pane and triple pane windows are available and come in a variety of hinged and sliding configurations. Not sure the type of window you have? Schedule a free onsite inspection and we’ll come to your home or office to provide an onsite inspection and estimate. We at Superior Replacement Windows have been serving the Paradise Valley area since 2004 making us one of the most established window repair and replacement companies in the area. We are a family-owned and operated company and we are proud to say we have been consistently delivering the highest quality products and services throughout the past years. We employ a team of technicians that are armed with skills and knowledge to make your home safe for your loved ones and your building durable for your employees. We specialize in replacing windows for residential and commercial properties in Paradise Valley. Have you recently discover cracks on your windows or glass doors at home? Are you a Paradise Valley, AZ business owner? We can help you set up your store by providing you with high commercial grade glass extremely durable and energy efficient. We are proud to say over the years, business owners have come to trust our services simply because we go beyond the call of duty just to please our clients. At Superior Replacement Windows our processes are unique and our prices are fair. Once you make an inquiry with us, our technicians will be at your site to conduct a thorough inspection. 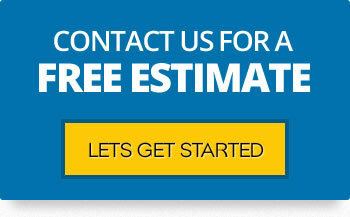 After which, they will provide you with a free estimate for all your glass needs. Whether it is to repair or to install a new window, our technicians will provide you with services to exceed your expectations. Superior Replacement Windows calls Paradise Valley home. Although PV is a small town in many respects it’s known as one of Arizona’s premier tourist destinations. It is home to some 12,280 residents and a total of twelve resorts. 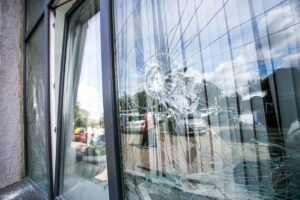 When residents and business owners in Paradise Valley, AZ have problems with their windows, the number one company they rely on is Superior Glass. Call us today at Superior Replacement Windows in Paradise Valley AZ to receive a free quotation on window repair or installation. One of the most luxurious settings in Arizona is the town of Paradise Valley. It is one of the most affluent places with expensive real estate, shopping, bars, restaurants and golf courses. The town has a very small population which makes it a premier tourist destination. Here’s what you need to know when visiting our glass shop in Paradise Valley. Even though Paradise Valley, AZ today is an affluent section, it started off basically as an agrarian society with cattle grazing and agricultural lots. Paradise Valley Town is collectively termed Paradise Valley with the neighboring schools, community college, hospital, mall and golf course located several miles north of Phoenix. It is an expansive area spreading from Cave Creek and Carefree on the North to McDowell Mountains in the east. The Paradise Valley living experience is enjoyed by many people including a lot of celebrities such as Kurt Warner, Emma Stone, Bil Keane etc. The residents have even coined a term “There is a reason why we call this valley ‘Paradise'”. There are many things to do in this town from luxurious spas to satisfying shopping escapades. Places like the Papago Park and Camelback Mountain are especially great for trekking and hiking. Other amusements such as Butterfly wonderland and McCormick-Stillman Railroad Park make a great afternoon with family. In addition to Superior Replacement Windows, the top employers in this town are the various resorts peppered throughout the area. Apart from the hotels, a sanctuary on Camelback and the Town of Paradise Valley also offer good employment opportunities.